Kennel software allows users to schedule, track, and store data related to pet boarding and daycare. Companies use the software to keep well-documented records of animals that will visit, have visited, and are visiting, and their owners’ information. These tools also provide kennels details about their earnings and inventory. Kennel products provide tools to track how much space a kennel business has at any time: past, present, and future. Users are able to identify recurring customers, store information about their visit history, and record their payment history. Users can create a database of every animal that has visited their kennel in case of future needs. Some kennel software products integrate with online appointment scheduling tools to update their records and facilitate business needs. Others integrate with software such as point of sale (POS) and billing software to facilitate payment processes. Kennel reviews by real, verified users. Find unbiased ratings on user satisfaction, features, and price based on the most reviews available anywhere. 123pet care is a pet services business management solution for all aspects of the pet services industry including grooming, kenneling, training and daycare. Robust and innovative, 123pet care offers everything from advanced marketing tools and online booking to intuitive scheduling and mobile apps. Built with the everyday entrepreneur in mind, 123Pet allows users more time with their craft and clients, streamlines business tasks, and improves time management to boost profit and maintain productivity. 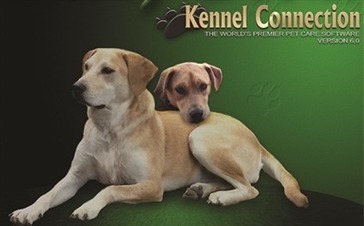 Kennel Connection is a pet care facility management software that provides owner and pet history that includes pet photos, a scheduling system with a calendar that lets you view the month, track payments, customer balances, and more. KennelMate is a program for boarding kennels and catteries that provides boarding charts and boarding rates with features to help you manage your kennel. Atlantis is a web reservation system that interacts with a reservation form that's installed on your kennels website that allows your clients to fill out the relevant information allowing you to manage each animal's individual needs. 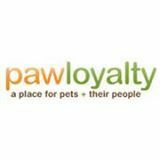 PawLoyalty Software is simple business management software for sophisticated business owners. We focus on supporting your business growth (thru actionable reporting), keeping customers engaged and informed (thru automated emails, newsletter blasts and online booking) and reduce staff costs by increasing operational efficiencies thru processes and reporting. Pawtracker is a centralized kennel management system that gives you real-time information, integrated accounting and processing power from anywhere with an internet connection. Dog Biz Pro is software designed for the dog training professional. Kennel, pet boarding and grooming software made for you. Used to centralize day to day activities, to improve efficiency, consolidate all information in one place, look professional to pet owner customers, and reduce various risks associated with human error and safety. System can be tailored to single or multi-locations and specialized with a room calendar, room availability, kennel cards (digital or printable), custom profiles, add-to-cart products, staff management, and a free website! We also support pet sitting, dog walking, grooming, daycare, training and more. Contact us to learn more! iMagic Kennel Reservation is a kennel software system designed to manage the booking process and customers with customer management, reservation management, and more. PetCloud is a cloud-based business management application that allows you to get organized, with scheduling, secure customer data, invoicing, service verification and more. PetExec is a web-based business management software solution that provides a secure way to run your pet facility that allows you to complete tasks while managing productivity and profitability. Are You Running A Modern Pet Resort? You deserve the time to test drive a modern Software solution. Even if it is just to see how Pet Boarding is advancing. ProPet Software is full-service kennel management software that connects you to clients and pets by keeping everything in the same place. ProPet helps you streamline administrative functions at your facility. It allows customers more time where it counts: with pets. Online booking and payments keep things simple and offer quick and easy access to all necessary client information. Revelation Pets is a web-based kennel and cattery software that allows you to manage and update bookings, customers, pet details, vet information and more by creating bookings while you are on the phone with a customer. Time To Pet helps clients love the experience of booking visits. Clients can update their info, request services and make payments directly from the Client App or the Client Portal. They'll also get real-time updates, pictures and visit report cards after each event. Our pet software helps you to maintain your personal and professional appointments with easy scheduling / rescheduling options. AnimalsFirst is an animal shelter management sofware. Avalon Bookings Manager is an administration program that allows you to handle your kennels and cattery bookings, invoicing, customer and pet database by helping you manage occupancy, overbooking, and keep track of forward bookings. Avalon Pet Grooming Salon is a Boarding & Grooming Management Software and a premium solution for Pet Boarding, DayCare, Grooming, Training & Pet Retail Facilities. Barkers is a professional web-based software package designed to be a complete solution for dog grooming businesses. Breeder Cloud Pro is a professional cloud-based software for kennel management and dog breeding that easily manage litters, finances, and more on the go. Debit Square - For Pets is a program that allows you to track information about your pets with customizable features and functions to help you keep track of vet visits, medications, and more. DoggieDashboard is an all-in-one free management software for dog boarding businesses and dog and pet kennels. Envision Paws is a management software designed specifically for pet salon owners. E-Z Kennel Plus is a user friendly Windows program for Breeders. Go Pet Go Software offers full-service pet relocation, domestic and international pet moving. GroomPro POS is a business management software for pet groomers designed to offer tools to enhance business. iShelters is an application that allows clients to enter new people and animals and keep track of their records and history. It's the main application for the shelter. ITS Kennel Grooming & Training is a kennel grooming software solution that allows you to manage reservations and your grooming schedule with customer reminders with email or mail labels, and more. Kennelite is a software management system for dog kennel and pet grooming facilities that allows you visualize multi-room boarding stays, with appointment management and other features to help you manage your business. Kennel Manager is a pet boarding, kennel and grooming business management system that allows you to track schedules, watch payments and manage profits and productivity. kennelplus is a pet management software with features and interfaces like boarding scheduling, unit/room designation, tracking of available and occupied units/rooms and more to help you manage your facility. Lion Edge Canine Software is a livestock guardian and purebred dog record keeping solution that allows you to document breeding records, identification, manage vaccination records, training and show records. mGroomer is a web based application design specifically for mobile dog grooming businesses. MoeGo is an all-in-one modern grooming software designed to help manage and grow business. petkey offers a FREE online Pet Management Software System designed specifically for the pet industry. The kennel management system is fully equipped to track adoptions, shot records, warranty paperwork, registrations, sales reporting and much more. PetManager is a kennel and cattery software. Petschedule.com is a fast and powerful International Dog and Cat Online Appointment Scheduling Grooming Software Solution for your grooming salon or boarding facility. Hi there! Can I help you find the best Kennel solutions?